Boost your skin’s night-time repair with NIOD Survival 0, a potent skin-defender that repairs damage caused by lifestyle and environmental aggressors while you sleep. 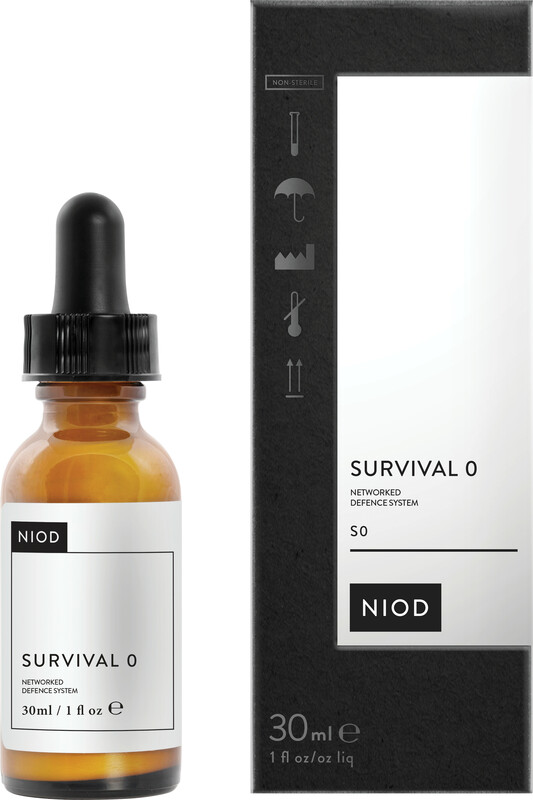 The NIOD Survival 0 is packed with innovative technologies that help support the skin’s defences against the effects of oxygen radicals, pollution, stress, infrared and blue light emitted from digital devices. Designed to be worn at night, the Survival 0 formula doesn’t contain UV protection and will not provide protection against sun exposure. Suitable for all skin tones, the NIOD Survival 0 has a lightweight texture and will work overtime to reduce the appearance of photo-damage for skin that is healthy and radiant day after day. Use in the evening, apply to the face liberally. Free from alcohol, silicones, nuts and gluten.